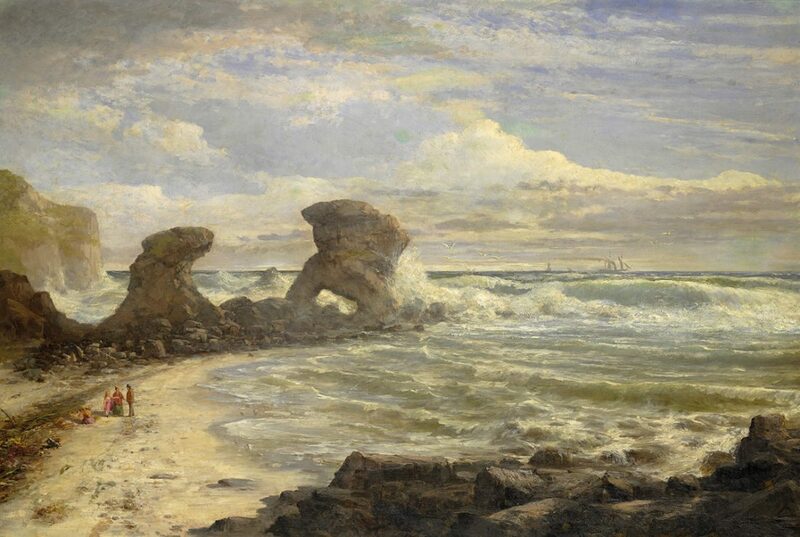 Nicholas Chevalier, Pulpit Rock, Cape Schanck, Victoria 1860s, oil on paperboard on hardboard, Art Gallery of New South Wales. Bequest of Mrs Nicholas Chevalier 1919. 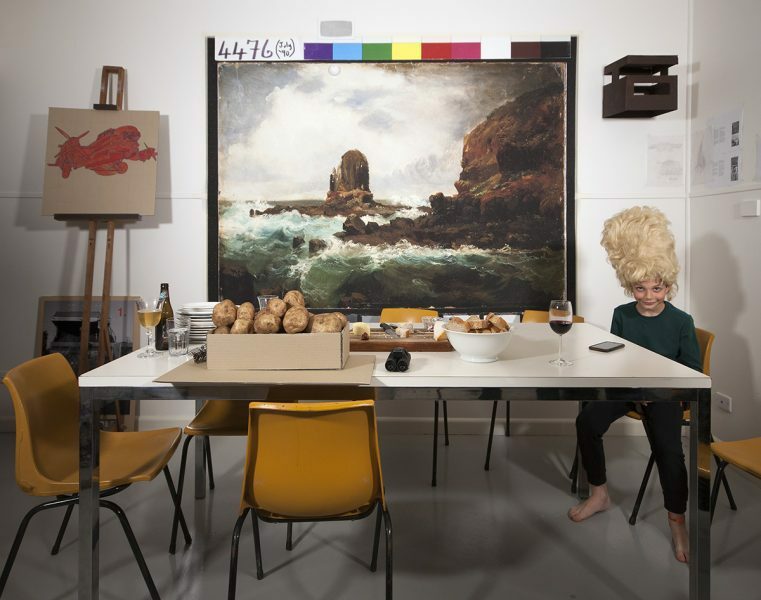 Photo: AGNSW. 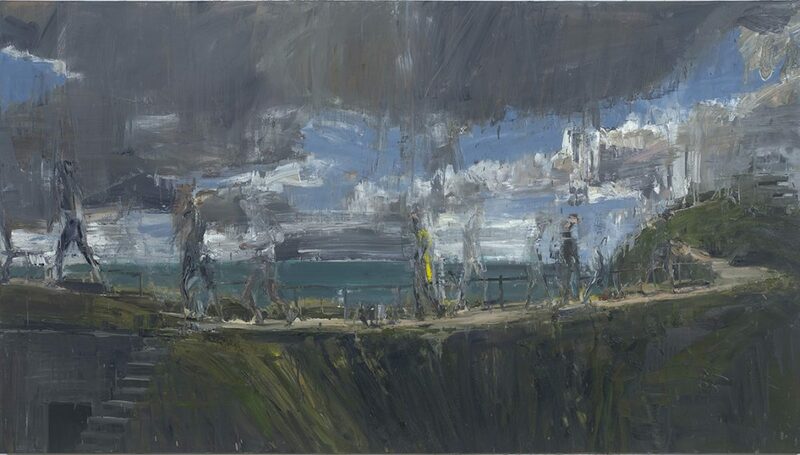 Euan Macleod, Mornington Peninsula, 2017, oil on polyester. Courtesy of the artist and Watters Gallery, Sydney and Niagara Gallery, Melbourne. Raafat Ishak, Pulpit Point Eviction, 2017, pigment print on archival paper, Image courtesy of the artist and Sutton Gallery, Melbourne. Violet Teague, Schanck lighthouse, 1920s, oil on canvas, 40.5 x 35.6 cm. National Gallery of Victoria, Melbourne. Felton Bequest, 1931. 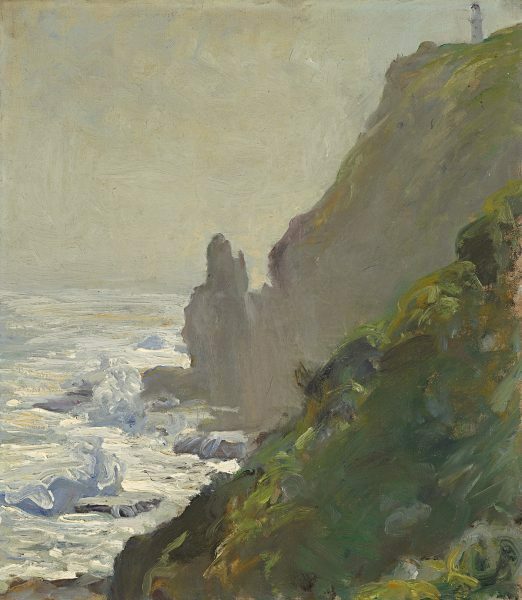 In surveying historical works of art dealing with this stretch of coast from Cape Schanck to Point Nepean, Lacy says he has noticed that artists are especially sensitive to the power of the place. He speaks of the physical remnants of the past we can still see there and how they might affect our emotions: shell middens reminding us it was, for thousands of years, a food-gathering source for Aboriginal inhabitants; dozens of shattered shipwrecks on the ocean floor; gun emplacements and tunnels at Fort Nepean forming a testament to the military history; and the plaque at Cheviot Beach where Prime Minister Harold Holt went for an ill-fated swim. But Lacy wanted to take it further. 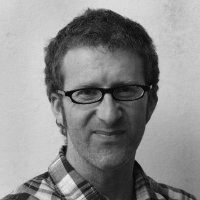 To be held at the Mornington Peninsula Regional Gallery where he is senior curator, the show presented a big challenge: many shows at the MPRG over the years have dealt with similar shoreline-based subject matter by virtue of its location between ocean and bay. 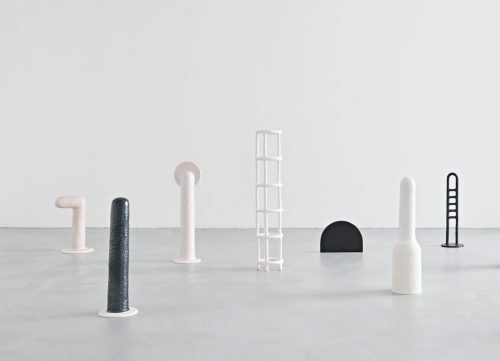 Lacy wondered how to take a different trajectory and so, after putting in loan requests to various state institutions for the esteemed works by the above artists, he commissioned contemporary artists to make work in response: Euan Macleod, Kerrie Poliness, Raafat Ishak, Megan Cope and G.W. Bot. The results are diverse and compelling. 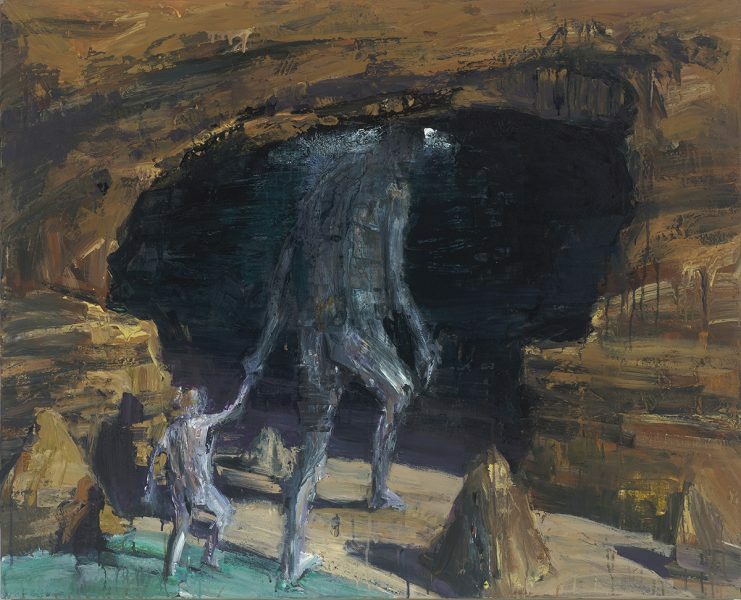 Euan Macleod, Cave (Mornington Peninsula), 2017, acrylic on polyester. Courtesy of the artist and Watters Gallery, Sydney and Niagara Gallery, Melbourne. 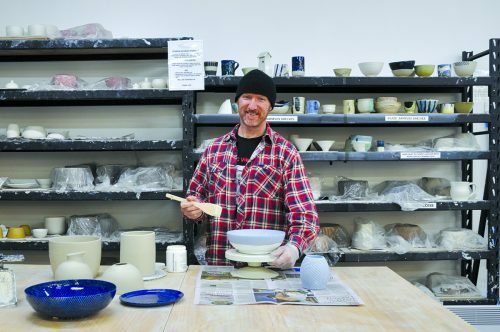 At the centre of these commissions was a small cottage at Police Point Shire Park in Portsea where each artist went for a one or two-week residency as part of their commission. There, they could absorb the place, do research and, in some cases, recall their previous experiences of this coast. It was not always uplifting: Euan Mcleod told Lacy that while he was aware of the coast’s reputation as “a summer paradise with people frolicking and blue skies”, he was instead surprised to find a dark underbelly he didn’t understand, a sinister air he had experienced at other places such as Port Arthur or Gallipoli. By contrast, Kerrie Poliness has made a large video installation that taps into the splendour of the vistas, and has a strong connection to Boyd’s work. A compilation of snippets featuring different beaches along the coast, it incorporates a rolling ocean soundtrack likely to entrance us. These still shots, says Lacy, form what is a modern equivalent of a landscape painting. Rather than populating the film with people, she places her own diamond-shaped coloured paintings inside the frame, interacting with the elements, as do some sooty oystercatcher birds, two boys in red jumpers who remove one of the paintings, and a tourist who stands directly in front of Poliness’ camera to get a shot of the rock formation, London Arch. The language of the landscape is also explored by G.W. 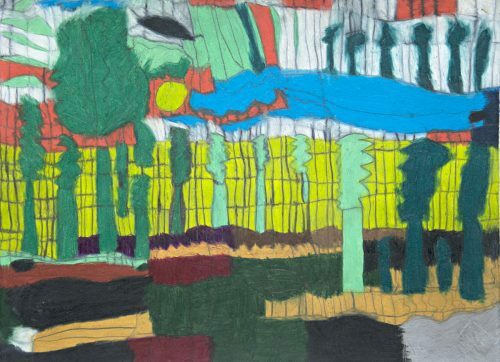 Bot, who for many years has explored a personal visual symbolism related to the landscape that she calls ‘glyphs’, marks that are intended to capture a sort of psychological space. Bot says each individual place has its own language that goes beyond topography which, along with elements such as light or vegetation, condense into these glyphs. At Mornington, with which she has been associated since early childhood, she found the glyphs captured both a grace and a “stormy drama” that manifests, too, in the idea of ‘the edge’ that is the coast.